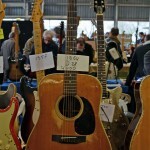 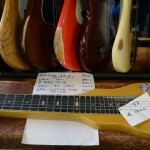 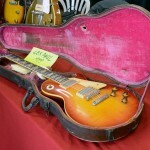 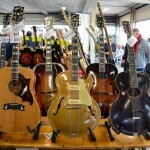 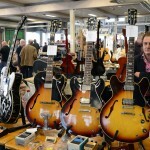 The Vintage Guitar Show in Veenendaal is a European institution for more then 20 years. 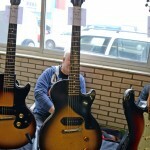 My last visit dates back to 2003 when the show was taking place in the very charming theatre De Lampegiet. 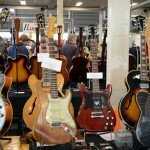 Since a few years the show is located in a bigger place – De VEENENDAALHAL. 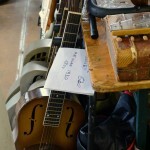 Even this place gets really crowded around lunch time though I understand this move – but for me the theatre is the real thing. 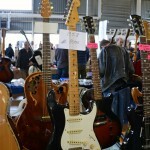 My main interest at the show was what I call proper vintage stuff (from the 50ties and 60ties) and there where a lot of interesting pieces present. 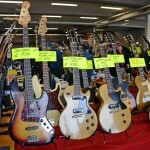 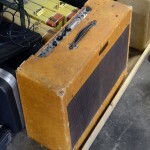 There was a split concerning the asking prices for vintage gear. 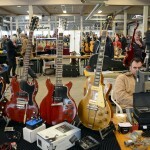 Some gear was priced as high as in 2007 (which I think is not realistic at the moment) and other was fair priced even for working musicians (f.e. 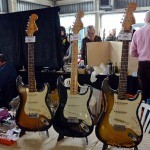 a refinished 65 strat with some parts changed for 3500 Euro). 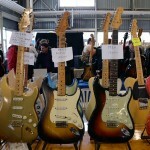 High-end stuff on display (or for sale) were f.e. 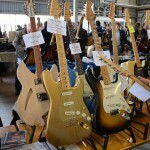 a 59 les paul standard, a 55 les paul goldtop (asking Euro 35000), a few 52 les paul goldtop’s and some fender stratocaster’s and telecaster’s from the 50ties and 6oties (one strat even from 1954!). 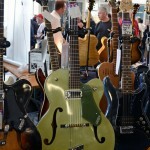 The staff at the show was very friendly and extremely helpful and the visit of the show is absolutely recommended. 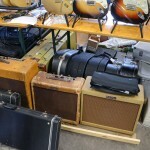 Included are some photo impressions of the show from stuff which I found interesting (by the way the worn 1956 tweed harvard is now mine). 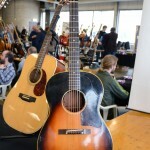 This entry was posted in guitar shows on 30. 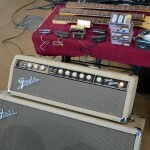 March 2011 by admin.